Keeping your health plan’s providers happy will also keep your members satisfied. Here’s how technology can support your net promoter score with providers. “How likely are you to recommend this health insurer to your business associates?” Do you know how the healthcare providers in your network would answer this question about your health plan? On a simple 1-10 answer scale, this question aims to understand how successful your health plan is with experience, satisfaction and most importantly, loyalty. Across many industries, this metric is commonly called a Net Promoter Score. Net Promoter Score (NPS): A way of measuring customer satisfaction based on how likely consumers are to recommend your company to others. While your health plan may be familiar with the “Net Promoter Score” metric as it pertains to members, don’t forget that your health plan also serves healthcare providers’ needs as well. And their experiences interacting with your health plan’s processes can directly impact your relationship with your members. You get your Net Promoter Score by subtracting the percentage of promoters from the percentage of detractors. NPS Benchmarks reports that on average, consumer-facing healthcare companies have a NPS of 67, while an average score for an insurance company is 42.6. The industry average for healthcare insurance companies is 0. “Scores higher than 0 are typically considered to be good and scores above 50 are considered to be excellent,” writes CustomerGuru, who reports that a large health plan with a Net Promoter Score of 1 is considered “good”. The large gap between other industry scores, even healthcare provider scores and insurance plans, suggests that health plans have some catching up to do when it comes to NPS metrics. “We shouldn’t merely aim to exceed standards set by other industries, but rather hold ourselves to an ever rising standards of our own,” writes Tashfeen Ekram, MD for Becker’s Hospital Review. While providers seek to improve patient experience, health payers have a unique opportunity to join them in doing so by improving their relationship with in-network providers. Why Should You Care What Providers Think? It surely comes as no shock to you when we point out that the relationship between providers and payers isn’t all that great. Communication break downs that lead to provider abrasion are common. But tracking and aiming to improve a Net Promoter Score between providers and payers is a unique opportunity to forge a more-powerful partnership. Given the blurring lines between payers and providers and the data behind member satisfaction (which depends on provider service), most health plans have a pretty good idea that keeping providers happy is gaining importance. Nonetheless, approaching provider satisfaction as an actual goal may be a disruptive idea at your health plan. Treat providers as customers? Sounds odd, you might think. But the most powerful companies know that building brand loyalty is important to every business relationship. This could be due to several factors. For one thing, providers have traditionally done well with their patient Net Provider Score. In many instances, when care is poorly coordinated with insurance companies, claims are denied, or bill costs shocking, consumers tend to blame health plans. But providers can change that perception if they are informed with knowledge that is beneficial and specific to patients. Communicating effectively with providers, who in turn can better coordinate care (and be mindful of treatment costs), will translate into improved Net Promoter Scores for both members and in-network care providers. “As the industry shifts to value-based performance – driven by the health care consumer – plans must shift from a B2B to a B2C model to be successful,” writes Novu, a provider of health plan member engagement technology. Companies with high net provider scores have a few things in common: They are reliable, fast, quick to communicate and easy to access, and they make the experience personal. Health plans are often too complex and too siloed to achieve this level of service. That’s where Pareo® makes a difference. With total transparency across your health plan’s departments, answers to questions can be delivered in real-time. More business partners can plug-in with a faster implementation time and higher-level of coordination, all thanks to the technology that ClarisHealth delivers. Some of our health plan clients have found such success with Pareo® that they are already scaling our processes towards improving provider relationships. In fact, health plans are increasingly interested in Pareo’s provider engagement module that greatly streamlines financial transaction management among the payer and provider and significantly reduces friction inherent in traditional, paper-based methods. By sincerely soliciting feedback from your providers, your health plan can improve. 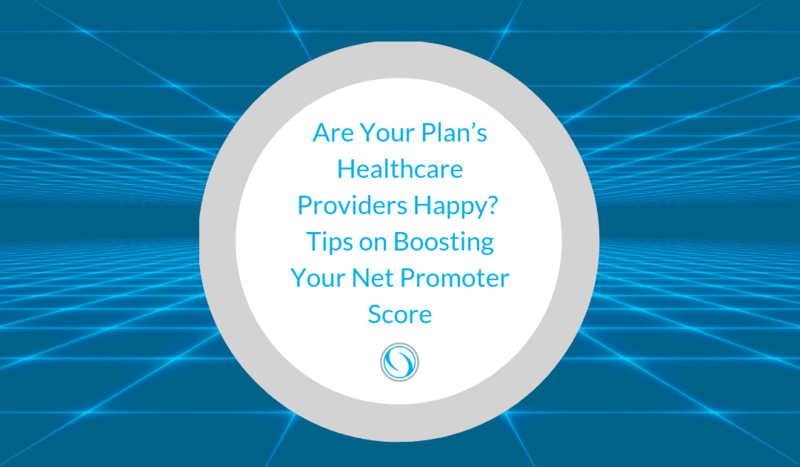 And when issues arise or as the industry continues to shift, your providers will be more likely to stick with you if your health plan has put in effort to improve your Net Promoter Score.